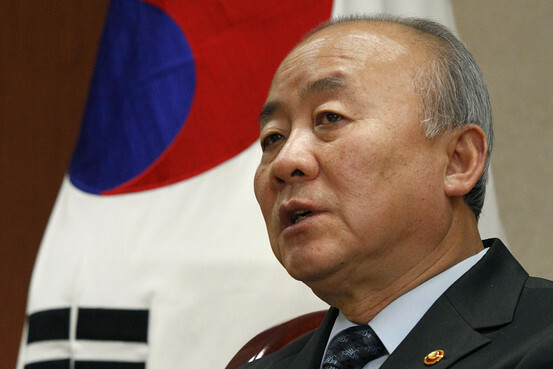 WASHINGTON, June 1 (Yonhap) — The international community needs to maintain momentum in its efforts to address North Korea’s human rights violations, a U.S.-based activist said Friday. She was describing the results of the annual North Korea Freedom Week event in Seoul to raise public awareness on the urgency of tackling human rights abuses in the communist country. Scholte is known for more than a decade of work to publicize North Korean human rights issues. She won the Seoul Peace Prize in 2008. “We have seen governments finally making human rights as equal a concern as the security issues,” she said. South Korea’s conservative government of Lee Myung-bak has openly voiced concerns about the matter, even the fate of North Korean defectors in China, bearing the brunt of subtle diplomatic tension with a key trade partner. The Barack Obama administration has also constantly talked about its interest in the well-being of North Koreans. Scholte noted a growing number of North Korean people are fleeing their homeland in pursuit of freedom, not just to escape hunger. She attributed the trend to access to foreign news and culture through DVDs, mobile phones and other technology. Citing testimony from North Korean defectors, she said USB flash drives(thumb-size data storage devices) are perhaps the best tool since they are easier to hide and carry. “The dramatic changes inside North Korea occurring over the past decade, especially the information explosion that has hit there and the market explosion with people no longer dependent on the regime to survive, makes North Korea vastly different today than the last transition in 1994 when Kim Jong-il assumed power,” she said. 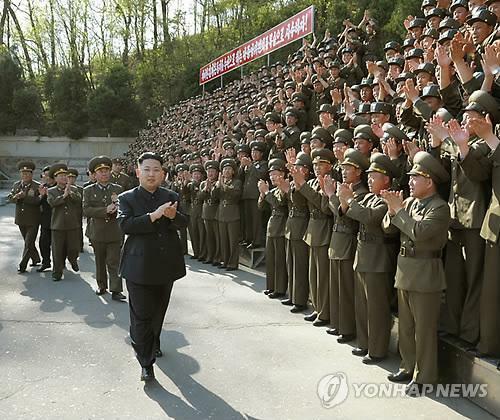 Kim’s son, Jong-un, became North Korea’s new leader after his death in December. There are no specific signs yet of social or political upheaval stemming from the recent leadership change. SEOUL—North Korea’s increasingly inflammatory criticism against South Korea is a sign of instability in its authoritarian regime and doesn’t appear likely to end soon, the South’s top official in charge of dealing with the North said. Since the death of Kim Jong Il in December, the North’s government has been trying to build support for his son Kim Jong Eun and resorted to greater extremes of rhetoric in the process, Yu Woo-ik, South Korea’s Minister of Unification, said in a recent interview. “The reason why North Koreans criticize South Korea ever more strongly, we believe, is an expression of anxiety,” Mr. Yu said. He noted that the younger Mr. Kim has begun reshaping the North’s government and, in an environment where jobs are on the line, people and organizations are jockeying for power by showing loyalty to him—and one way to do that is to criticize the South. The period has also opened an opportunity for China, North Korea’s political ally and economic benefactor, to wield more influence on the regime, said Mr. Yu, who was South Korea’s ambassador to China until taking his current post last September. SEOUL, May 23 (Yonhap) — South Korean President Lee Myung-bak said Wednesday North Korea’s human rights record is an issue as important as its nuclear or missile programs, and should be dealt with more urgently than other matters. Lee made the remark during a meeting with a group of U.S. lawmakers, including Rep. Ileana Ros-Lehtinen (R-FL), the chairwoman of the U.S. House Foreign Affairs Committee, presidential spokeswoman Lee Mi-yon said. The lawmakers promised to pay more attention to the human rights issue, the spokeswoman said. North Korea leader Kim Jong Un publicly rebuked officials for the “pathetic” management of an amusement park in Pyongyang in an effort to bolster his image five months after taking power in the totalitarian state. Kim toured the Mangyongdae Funfair in the capital and pointed out a broken pavement and chipped paint on rides while plucking weeds, the official Korean Central New Agency said yesterday. Improving the facility should be “an opportunity to remove outdated ideological views from officials’ heads and end their old work-style,” KCNA quoted him as saying. Kim, believed to be under 30, became head of the country after his father Kim Jong Il died in December, inheriting an economy isolated through global sanctions and wracked by malnutrition. His condemnation of the conditions at the amusement park may be the latest effort to shore up his power base by reinforcing an image as an engaged leader, said analysts including Park Young Ho. Myanmar has agreed to release a North Korean defector imprisoned two years ago for entering the country illegally and declared its intention to comply with all UN resolutions covering nuclear and missile trade, reflecting the country’s recent tentative moves toward rejoining the international community of nations following years of economic and diplomatic isolation. The imprisoned defector, whose identity has not been released, has been serving a five-year prison sentence following his 2010 conviction for illegal entry. Upon his release, the man is reportedly set to be transferred to South Korea. The agreement came as President Lee Myung Bak met President Thein Sein in the new jungle capital of Napyidaw as part of the first visit to the country by a sitting South Korean president since a 1983 terrorist attack carried out in the former Burmese capital of Yangon by North Korean agents killed a number of government ministers and came within minutes of killing President Chun Doo Hwan himself. For its part, South Korea has offered Myanmar a slew of different forms of development assistance matching the nature of its recent reforms, including loans and grants, scholarships and even help in establishing an economic think tank. Today, President Lee is set to fly across from Napyidaw to the traditional capital, Yangon, to meet with democracy activist and newly elected lawmaker Aung San Suu Kyi. SEOUL, May 10 (Yonhap) — North Korean leader Kim Jong-un is likely to keep tensions with South Korea high and continue provocations against the South to help consolidate his power, experts in Seoul forecast Thursday. Kim would also be very reluctant to pursue reform or open his isolated country out of fear such steps could lead to the collapse of his regime, Koo Bon-hak, a professor of Hallym University Graduate School of International Studies, said at a Seoul forum. Kim has made frequent inspection trips to military units in an apparent attempt to bolster his support from the military since he took over the country following the December death of his father, long-time leader Kim Jong-il. “Instead of relying on the United States, South Korea should try to secure independent deterrence against North Korea” to cope with the North’s provocations, Koo said at the forum on the North Korean situation, organized by the private Sejong Institute think tank. The U.S. keeps about 28,500 troops in South Korea to help deter North Korea’s possible aggression. 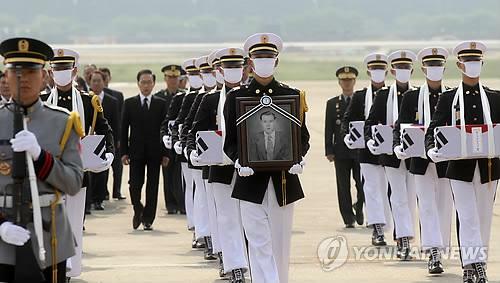 South Korea has strengthened its defense posture following the North’s two deadly attacks on the South in 2010 that killed 50 South Koreans, mostly soldiers. Koo also said South Korea should strengthen ties with China, North Korea’s key ally and economic benefactor, to help Beijing nudge the North to pursue reform and openness. The South Korean government notified North Korea on Friday that it is time to start paying back a low-interest loan to cover food aid shipped from 2000 through 2007. The first payment, a combination of principal and interest worth $5.83 million needs to be paid back by early next month, the state-run Export Import Bank said. The loan, worth $720 million, covers 2.6 million tons of rice and corn sent in six tranches as part of a deal forged under the “sunshine” policy of previous South Korean administrations. The loan was given at an interest rate of one percent, and the North promised to redeem it over 20 years following a 10-year grace period, The Wall Street Journal’s Korea Real Time blog reported. It is a reasonable bet a country that uses all of its scarce hard currency for spending on the military and the ruling elite will not be rushing to meet its repayment obligations, particularly given its obvious hatred of the current South Korean regime. The North’s state media ratcheted up its hate-fueled rants against the Lee Myung-bak administration in the South in recent weeks for perceived disrespect of the ruling Kim dynasty. But should Pyongyang decide to make good on its debts, it has options. 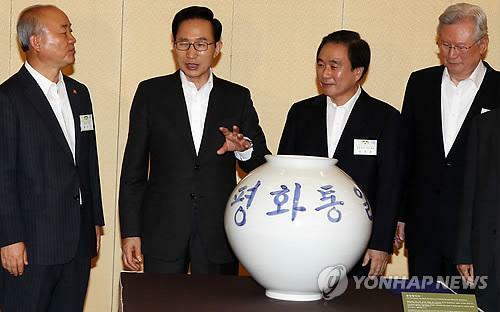 An official with the South’s Unification Ministry said that while the North is being asked to pay in cash, payment could potentially be made in commodities if an agreement can be reached. Earlier this week, a pro-Pyongyang newspaper in Japan reported that North Korea has bountiful deposits of coal, magnesite and uranium. North Korea may have intentionally crashed its long-range Unha-3 rocket last month due to problems in staging, a U.S. missile expert said Monday. David Wright, a senior scientist and co-director of the Global Security Program at the Union of Concerned Scientists, put forward the possibility among a range of scenarios in an analysis of the failed April 13 launch that sent regional tensions soaring. The rocket failed shortly after liftoff, dealing an embarrassing blow to the fledgling regime of North Korean leader Kim Jong-un. The North American Aerospace Defense Command (NORAD) and U.S. Northern Command said the first stage of the missile fell into the sea 165 kilometers west of Seoul, some 300 kilometers from the launch site. Local reports estimated the splashdown occurred closer to 400 kilometers from the site. “North Korea reportedly announced prior to the launch that the rocket was equipped with a flight termination system that would allow operators to shut down the engines manually if the ground station detected a problem,” Wright wrote on 38 North, a website focused on North Korean affairs. “It is possible that if, as some sources have suggested, the first stage burned to completion but there was a problem with staging, that the North may have aborted the flight at that point. The move earned the North a U.N. Security Council statement that expanded sanctions on the cash-strapped country. Tensions remain high as Pyongyang has reportedly made some preparations to carry out a third nuclear test. The expert said that based on open source information it remains impossible to determine the exact cause of the failure and that more data on possible irregularities in the flight path and operation of the engines would shed light on whether the flight was aborted. If splashdown occurred at 300 kilometers, analysts say the failure likely occurred during the operation of the first stage, before staging took place. The expert said a splashdown at 400 kilometers would raise another possibility. “That would suggest that the first stage worked essentially as intended, but that ignition and separation of the second stage did not occur properly so that it fell with the first stage into the sea at this location,” he said, adding portions of the rocket could also have landed at both places. The North insists the launch was meant to put a satellite into orbit for science. But it was widely condemned as a ballistic missile test amid concerns that Pyongyang is working to build long-range missiles capable of delivering a nuclear warhead. SEOUL, May 8 (Yonhap) — North Korea has sent faxed messages to 13 South Korean civic and religious organizations in recent weeks to criticize South Korea’s alleged insult to the North’s dignity, an official said Tuesday. The messages came in response to South Korea’s accusation that the North wasted millions of dollars on celebrating the centennial of the April 15 birth of the country’s late founder Kim Il-sung, the grandfather of current leader Kim Jong-un. South Korea has said the North should have used the money to buy much-needed food for its 24 million people. Some South Koreans have recently held anti-Pyongyang events in Seoul. One of the messages claimed that Seoul’s insult to the North is a provocation by conservative forces to win the presidential election in December, according to the official who is familiar with the issue. South Korean President Lee Myung-bak’s single five-year term ends early next year and by law, he cannot seek re-election. North Korea has repeatedly condemned Lee as a traitor and called for his ouster in an apparent protest of his hard-line policy toward Pyongyang. The latest faxed messages came as Pyongyang has threatened to launch special military actions to reduce Seoul to ashes in minutes over Seoul’s defamation of the North’s leader.